Fate has a funny way of happening. For example, I believe it is fate that has me returning to my regular catch-up coffee posts following several weeks away at the same time a new mobile Tamagotchi game soft launches in my very own country. Like many (most?) of us, I am a product of my generation. Born mid-80s (exactly, actually: 1985), I was in the prime age market when the original Tamagotchi dropped. My mom still jokes about having to look after that of mine and my sister’s while we were with our dad, struggling to feed them as they beeped angrily while she (coincidentally) did the grocery shopping and worrying that she would kill her first digital grandchildren. The toys are still available, but now we’ve got more expensive mobile gadgets that can house a new generation of digital children. It’s My Tamagotchi Forever for iOS and Android. My Tamagotchi Forever promises both familiar and fresh game modes. The first shiny new thing is Tamatown, a place where all your Tamagotchis live and that you can customise. The entire experience is social, so sharing on social media is encouraged. There are levels to work through and coins to earn, as well as – gasps – costumes! My Tamagotchi will be the cutest of them all now that I can clothe it. Don’t be scared though: the core gameplay is intact. It’s up to you to make sure you raise happy and well-balanced Tamagotchis by feeding, cleaning, washing, and playing with them. The characters evolve depending on how they are cared for. My Tamagotchi Forever soft launched last week in Canada and will be made available worldwide next year (I expect sooner rather than later). Nothing like a little more Miku for the holiday season! 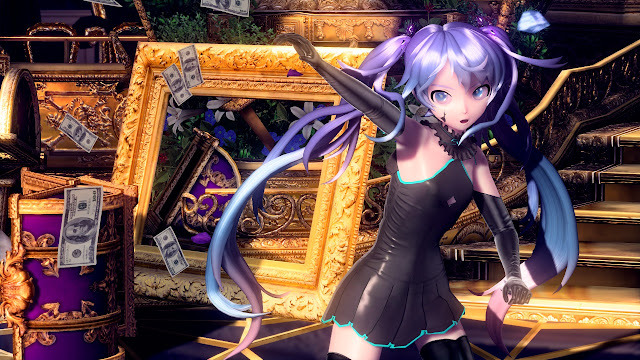 That’s right, on December 14 Sega is gifting the world with 4K Miku via a free Project Diva Future Tone patch that adds PS4 Pro Support. There’s minor fixes as well, but really... sorry, what was that after 4k Miku? For those who have played their way through nearly every song, a new Extra Encore Pack will be released on the same day. The new pack costs $7.99 USD and is not included in the game’s season pass. It adds two news songs, two new modules, and an updated Photo mode. The two new songs are Ghost Rule by DECO*27 and Suna no Wakusei feat. Hastune Miku by hachi. The new modules are Ghost and Celebration. The photo mode update adds to ability to change the aspect ratio of, add stamps/border to, crop, rotate, and share your photos. Happy Holidays, indeed! 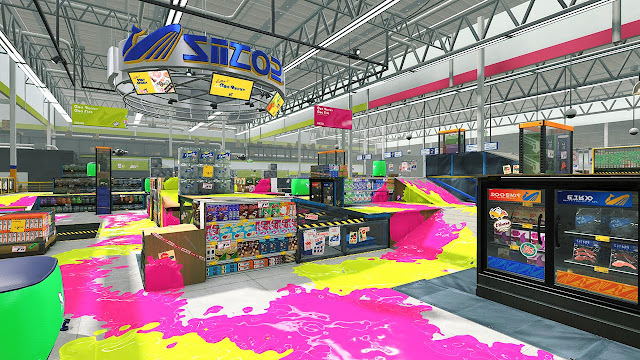 Nintendo’s list of changes in the 2.0 update for Splatoon is lengthy, to say the least. I often feel compelled to report every tiny detail, but in this case, this first paragraph will cover about half of the update details. This update brings dozens, and dozens, and dozens more, tweaks to in-game mechanics such as weapons (a lot of increased ink), Salmon Run (you can now jump ever so slightly higher in Chums’ ink, yay? ), multiplayer (darkened colouring on low areas of Turf maps), and rankings (maximum is now 99, up from 50). Now that the nitty-gritty is out of the way, let’s move on to the fun stuff! This update includes four – four! – new battle stages, four new appearance options, new gear, and new music. The appearance additions includes two hairstyles and two legwear options. There are five new music track that can be played during battle. I’d actually like to return to the Player Ranking updates, as it’s more important than I originally let on. The level cap did increase, which is great, but there is now also the option to start again at level 1 with a star displayed next to your rank. What you can access will not change, Prizes from Judd for leveling up also remain the same. SplatNet now displays the number of times a player has returned to level one. It’s practically a full-time job sorting through what titles are being updated and released on the Nintendo Switch. I go cross-eyed just thinking about the weekly release lists. Luckily, my instinct also kicked in, so I didn’t miss this: The Men of Yoshiawara is coming to the Switch. Twice! The Men of Yoshiawara: Kikuya and The Men of Yoshiawara: Ohgiya will both be coming to Nintendo’s smash home/handheld console, it was announced on Twitter last week (see above). Kikuya is currently available in English on Android, iOS, and Steam. Ohgiya is only available in English on Steam at this time, but I’d expect the other releases to follow shortly along with the Switch release. The Men of Yoshiawara: Kikuya and The Men of Yoshiawara: Ohgiya will both be coming to Nintendo’s smash home/handheld console, it was announced on Twitter last week (see above).